A heartbreaking yet uplifting story of grief about a boy who has lost everything, but finds new hope drawing in the shadows of a hospital. Features a thirty-two-page graphic novel. Andrew Brawley was supposed to die that night, just like the rest of his family. Now he lives in the hospital, serving food in the cafeteria, hanging out with the nurses, sleeping in a forgotten supply closet. Drew blends in to near invisibility, hiding from his past, his guilt, and those who are trying to find him. His only solace is in the world of the superhero he’s created—Patient F. Then, one night, Rusty is wheeled into the ER, half his body burned by hateful classmates. Rusty’s agony calls out to Drew like a beacon, pulling them both together though all their pain and grief. In Rusty, Drew sees hope, happiness, and a future for both of them. A future outside of the hospital, and away from their pasts. But to save Rusty, Drew will have to confront Death, and life will have to get worse before it gets better. And by telling the truth about who he really is, Drew risks destroying any chance future. I have been trying to figure out how to start this review, even sending texts to a friend trying to explain the depth of feeling I have over this book and I think I have decided that the best way to start this is to use the texts I sent to her. So just bear with me a little bit. Text: "So I've been sitting here in front of my computer for seemingly ages trying to figure out my review for Five Stages of Andrew Brawley....I'm just....I haven't got the words, (I don't mean that in a bad way) it's just so emotionally complex. It's twisted and weird, dark and terribly sad. But, at the same time it is this ray of light and joy and hope." 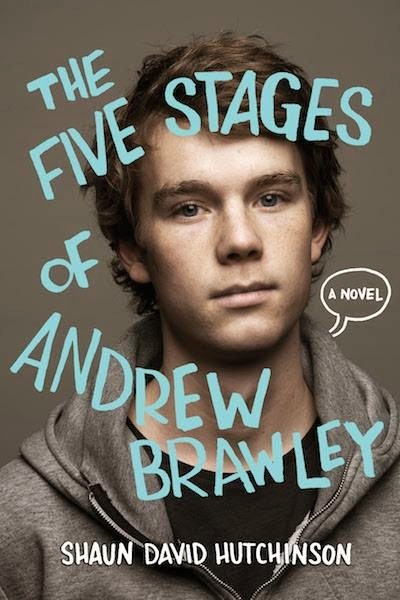 Andrew (Drew) Brawley is a teenager torn between his past and his future. After his parents and sister a killed in a tragic accident Drew finds himself alone, lost, tormented by nightmares, and scared. He tries to occupy his time and mind by befriending several nurses, staff, and patients, working in the hospital's cafeteria, watching as patients come and go in the ER, and creating his flawed hero, Patient F's graphic novel. I don't want to go into too much detail about each character because as I mentioned each of their stories plays such a pivotal role in the world Shaun has created for Drew that to tell you even the smallest bits will take away from the wholeness of the story. I truly loved the connections between the characters in this story. Shaun's character development is amazingly done. Every person in this book is simply living life the best way they can, every one of them is flawed and it makes everyone of them beautiful. Every one of their stories are separate and yet they all connect back together into a whole that creates the universe that has become Drew's. 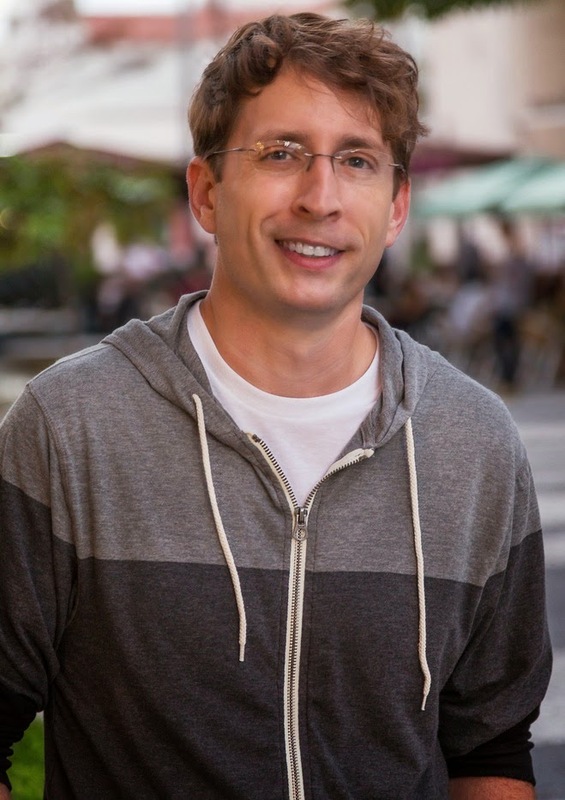 Shaun's writing style is rich and full of depth. It's much like looking at a painting that is full of deep rich colors where you can see every brush stroke. You can feel the texture of the paint against the canvas, you could spend hours or days looking at this one painting and never see all the little nuances the artist has hidden deep within, and around each curve. I've not ever really read a graphic novel so I can't say for certain that I would be a fan of them or not, but I enjoyed how Shaun incorporated 'Drew's' graphic novel into the story. Seeing it unfold in-between the pages of the story was a really clever and ingenious touch. It made my understanding of who Patient F is and how he fits into Drew's story that much easier. I especially loved the bit we get at the end of the book where it brings everything back together. I loved that this book is about a lot of things and none of them all at once. It's not a true coming of age story, but there is still so much growth that happens for so many of the characters. It's not simply a story about a gay teen, but it is a story about his romance. This isn't just a story about death, it is a story about life and choosing to live it even when death surrounds us. It isn't a story about the past, although it is a story about how the past affects who we become and how we move forward. In the end I think that is the most important thing we can take away from this book. We watch Drew's suffering, we watch the pain and anguish of each character in the story, we see death, heartbreak, suffering...but when it is all said and done we see life, joy, happiness, and hope. Most importantly we see hope. I see a lot of Andrew Smith (Author of Grasshopper Jungle, 100 Sideways Miles, Alex Crow) in Shaun's style of writing, which I love. It's a quirky weirdness that has this utterly complex and deep meaning. It seeps into your sub-conscious and when you close the back cover on the book you are left sitting there feeling the words sink deep into you, leaving you almost breathless with thought. This is a book that will make you look at the world around you, make you think not only about your life, your mortality, but also that of others. Have tissue handy, this is a beautiful read but not a simple one by any means. If you are looking for something deep and meaningful this is your book. If you want something to challenge the way you think and see the world around you definitely pick this book up. While this is a YA book I do recommend it for older teens, based on the difficult topics of death and substantial bullying. It is a great read to remind us how our actions affect others and that we all need something to live for.